Social Security survivors benefits operate independently of other pension plans. 1. Can a Wife Draw Social Security From Her Husband if She Has Her Own Retirement Plan? 2. Who Qualifies for Social Security Widow's Benefits? 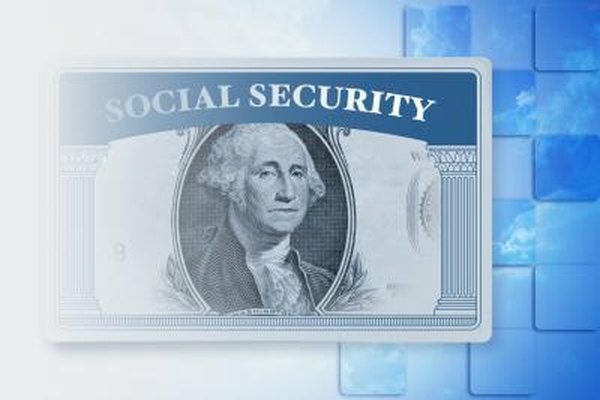 Social Security survivors benefits are designed to lessen the impact on a family when a breadwinner dies. Some retirement and pension plans also offer survivors benefits for the same reason. Survivors benefits under a pension plan do not affect the benefit you receive under Social Security survivors benefits, as Social Security benefits are based on other, independent factors such as the amount of time worked and the age of the deceased. Qualification for Social Security benefits is based on the number of quarters you work; Social Security survivors benefits are based on the number of quarters your deceased spouse worked. The amount of quarters required for full benefits is 40, or 10 years of work. A quarter is any time period in which you earn $1,160 as of 2013. Once you earn $4,640 in any one calendar year, you have earned your four quarters for that year. Social Security survivors benefits have additional criteria for qualification, which can be an advantage to people who are younger. You and your child can receive Social Security survivors benefits if your spouse accumulated six quarterly credits in the three years before she died. Survivors benefits are not income dependent, and any survivors benefit from a private pension will not affect the payment from Social Security. In addition, if you work, you and your children are still entitled to any applicable Social Security survivors benefits. Private pensions offer an employee's surviving spouse benefits under the Employee Retirement Security Act of 1974. The amount of the benefit may vary according to the plan, and a private pension plan may also reduce the pension offered to the primary participant in exchange for a survivor's plan, where the surviving spouse receives the benefit. For example, a plan may offer $2,000 per month to an employee or $1,500 per month to the employee and $1,000 per month to the surviving spouse after the employee dies. The reduced benefits in the latter plan are intended to compensate for the potentially increased payout periods. The covered employee can choose the surviving spouse plan or an individual plan, usually at the time he begins receiving benefits. An individual retirement arrangement or 401(k) plan has a named beneficiary, much as a defined benefit traditional pension plan does. With these plans, a surviving spouse can take ownership of the plan, just like the original plan participant. With an IRA, the surviving spouse can also contribute to the plan, and receive many of the tax benefits of the original participant. Defined contribution plans do not change Social Security benefits, but they might change the taxes charged on these benefits depending on how these plans change your income.